This beautiful little book is perfect for established chefs, people who know how to cook and who want to pursue more niche dishes. The cover’s gorgeous image is friendly, inviting the reader in, and clearly establishes the type of dishes included in the book (citrus, obviously). The design is simple yet elegant—you can always count on Ten Speed Press to create something worth looking at. The book is divided into types of citrus: lemon, lime, orange, tangerine, grapefruit, and “the rest,” making navigation easy. Aikman-Smith and Pearson get creative with a fruit group that might be relegated to a mere staple ingredient for most people. None of the recipes are overly complex, but the range of dishes is satisfying. When I got Citrus I thought it would contain mainly sweet dishes, but I was pleasantly surprised when I tried the Lime Chicken Curry (page 44) and found that the savory dish was quite good. I would also recommend the Lime and Coconut Lassi (page 55), a delicious cool drink for the lingering summer heat. 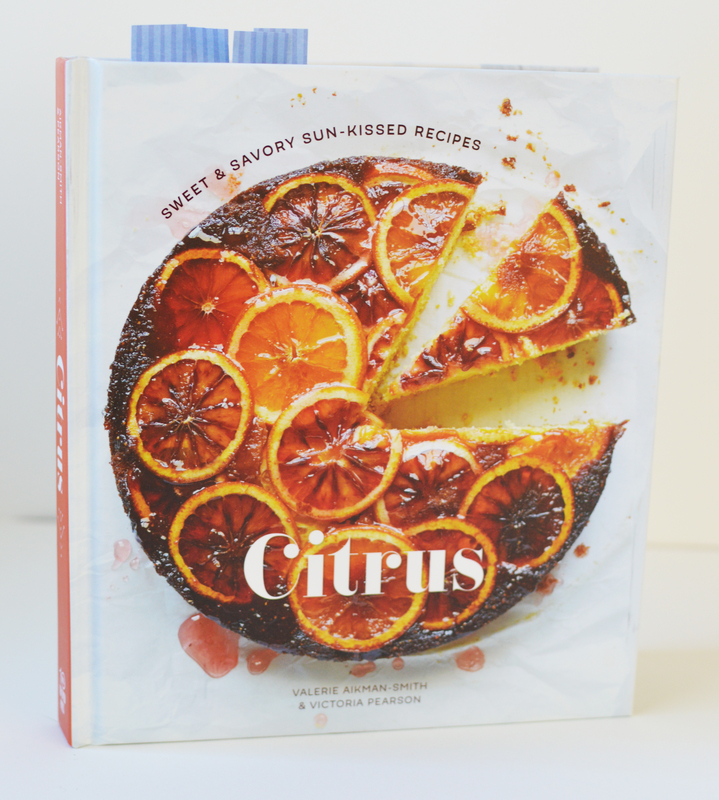 I am a great lover of citrus, so I am excited to further explore the recipes in this book (especially the desserts). I would recommend this book to home chefs who know the basics of cooking, who want to expand their citrus range. However, I would not give this to a budding chef because it would be a bit too ingredient-specific for such a person. Especially good for: specialty recipes and all things citrus.